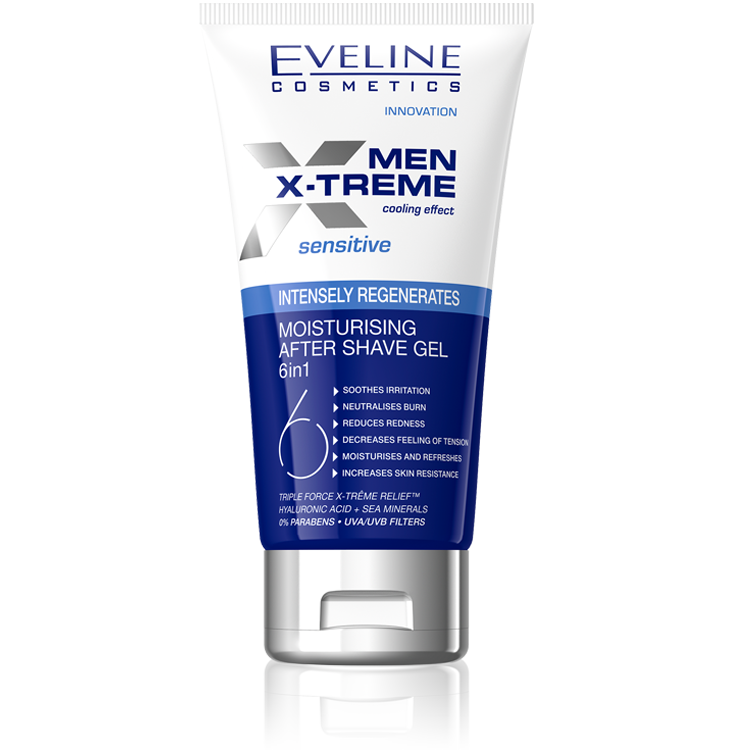 Technologically advanced formula of the gel enriched with hyaluronic acid and sea minerals ensures intense skin moisturisation after shaving. It reduces redness and the feeling of burn, as well as instantly cools and refreshes irritated skin. TRIPLE FORCE X-TREME RELIEF™ brings instant relief to dry skin and reduces the feeling of tense skin. Sea minerals regenerate and support the maintenance of proper skin moisturisation. Active ingredients: hyaluronic acid, sea minerals, D-panthenol, allantoin. Application: after each shaving apply onto cleansed face and neck skin, avoiding eye area.